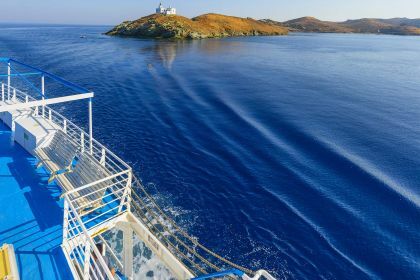 Just 60 kilometres from Athens and famous for its superb diving conditions, Kea is a popular and historic island boasting a spectacular coastline, towering cliffs and valleys planted with orchards, olive grove and oak trees. The main villages are the port of Korissa and the hilltop capital Ioulida. Indeed, it was recently voted as one of the most beautiful islands in the world. 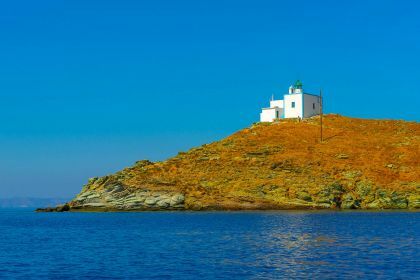 Call or contact your friendly Abberley charter broker here for assistance in planning an unforgettable yachting vacation in Kea and the Cyclades. Secluded Poles Bay, with its sparsely populated hills and azure waters, is a great place to drop anchor for a spot of snorkelling, sunbathing and relaxing in luxury. Korissa beach has a small harbour and a long, sandy beach while Kaliskia can only be accessed on foot or by boat, making it an ideal romantic hideaway. Fancy stretching your legs on land? 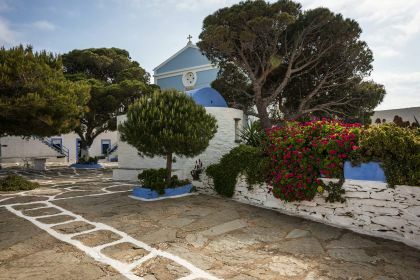 Kea offers some of Greece’s most well-connected hiking trails, which will take you into the heart of the country, passing through almond groves, ancient ruins and fruit orchards. The turquoise waters of Koundouros Beach are crystalline and calm, making this the ideal place for swimming and snorkelling. A must-do for divers is the wreck of the steam ship Patris, which sank in 1868 and now lies 28 metres under the sea off Koundouros. There are a myriad other wrecks dotted around the island, including the sister ship of the Titanic, the HMHS Britannic, which went down in 1916. While diving at these fascinating spots, you will be accompanied by schools of colourful fish. The ruins of the ancient city of Karthea, in the southeast, are worth a visit and you can snorkel amid the sunken remnants of an ancient harbour. Because Kea is a popular destination for affluent Athenians who own holiday homes on the island, the cuisine is sophisticated and refined. There are many options across the island – try the shrimps at Porto Koundouros on Koundouros beach and the lobster pasta at Aristos in Vourkari, conveniently situated directly opposite the harbour. If you are in Korissia, the main port, or the capital, visit one of the two Rolando’s, where their rabbit stew and grilled sardines have garnered a loyal following. Vourkari is the island’s after-dark fun zone, with several café-bars and clubs lining the seafront. At Vinylio, DJs spin tunes into the wee hours and you can order a pizza to accompany your ouzo. Illusion, also in Vourkari, is more upmarket and is a great spot for a sundowner and, later, a twirl on the dance floor. 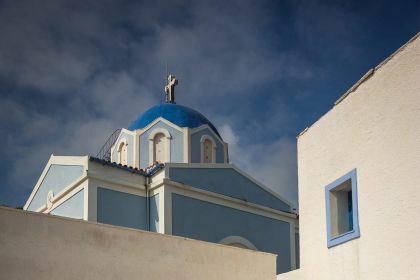 Planning your first island-hopping adventure in Greece? To get a real taste of this paradise on earth, get in touch with our charter broker here or by phone, and we’ll help you make your dreams come true. Insider Tip: Due to its proximity to the mainland, Kea can get busy during summer weekends. Plan your trip for during the week to ensure more exclusivity.